RV dealers manufacturers and suppliers are gearing up for the RV industry’s biggest trade show of the year; and one lucky person will leave the show with the keys to a sleek, new 2011 Harley-Davidson FXS jingling in his pocket. RVT.com’s 4th Annual Harley Giveaway is already underway. Click the link to enter online or visit the RVT.com booth #815 at the show. No purchase is necessary. On December 1, one lucky winner will be chosen by random drawing to become the proud owner of a new 2011 Harley-Davidson FXS! 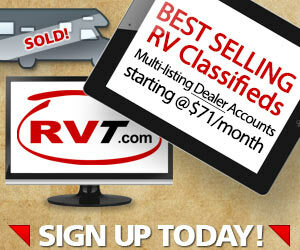 RVT.com’s show special — free RV dealer advertising — makes every RV dealer a winner. 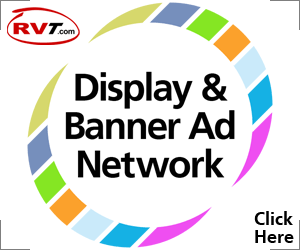 We’re offering new customers 2 free months of dealer listings on RVT.com; and current RVT dealers, 25,000 free targeted display/banner ad impressions. This is a limited promotion, so act now! Click the link for complete information. The 49th Annual RVIA National RV Trade Show will be held from November 29 to December 1, 2011 at the Kentucky Expo Center in Louisville, Kentucky. 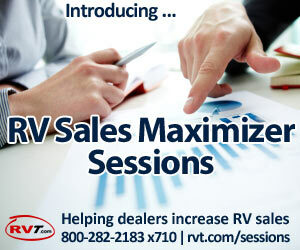 Sponsored by the Recreation Vehicle Industry Association (RVIA), the trade show is the largest gathering of RV manufacturers, suppliers, dealers and industry professionals in the U.S. Attendees will get a good look at new 2012 RV models, new technology and new features. The RVIA trade show is not open to the public, but we’ll be sharing info and new trends from the show with our blog readers to keep you up-to-date on what’s happening in the RV Nation.